Welcome to another blog hop! We’ve got lots of fabulous consultants participating again and I’m positive that you’ll find some amazing talent and inspiring ideas this month. If you came from Mary Eisen’s blog, you’re on the right track. 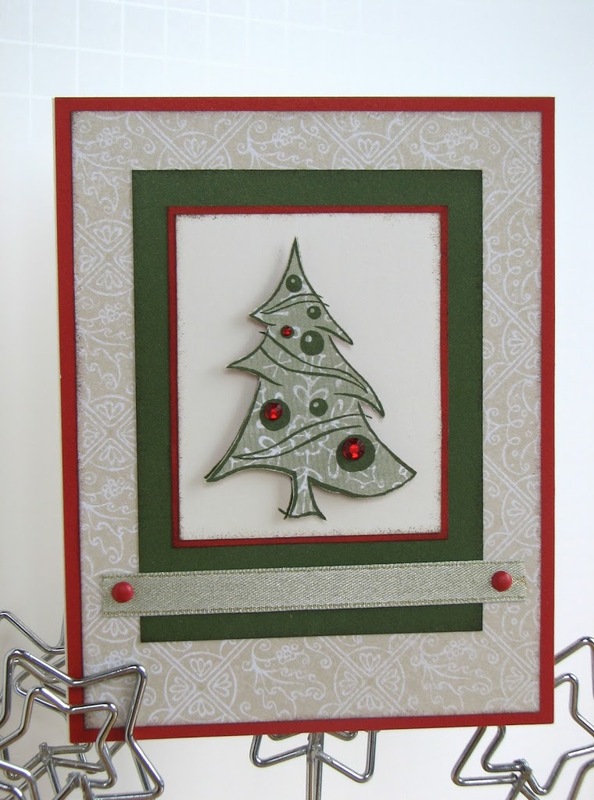 I stamped the tree on patterned paper from Mistletoe Level 2, then cut it out. I also stamped it on my Colonial White paper so the little extra lines would still be there. Then I popped the image with 3-D Foam Tape and added some red sparkles (love the new bling!). I also sponged around the edges of the papers with Cocoa ink. The ribbon is from the Mistletoe Creative Basics kit and this pattern came from Wishes. Here’s a close-up so you can see the layers a bit better. I hope you appreciate the simplicity of this card. Might be one you could make many multiples of, even. Hmmm…. maybe I should use it for my personal cards. The next stop on the hop is the very talented Antoinette Herrin. I really like this card. Great job Krista! Cute. Like the paper pieced tree and the dimension. Beautiful card! I’m always a fan of simplicity. Beautiful card, Krista! Love the paper piecing and gems on your tree. Love the stamping onto patterned paper. Beautiful card! love the card, like what you did with the tree. Very nice card. Has a sophisticated look. Simply elegent. The dimension is fantastic. Nice job! Krista, What a gorgeous card! I love how beautiful the ribbon looks with that paper!! Great card! Love the simplicity! 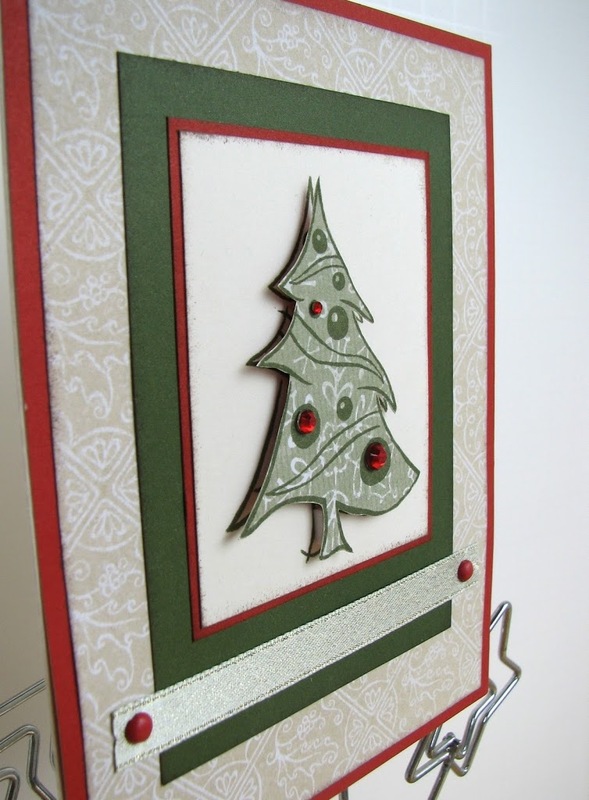 Love how you used the “flip” side of the patterned paper of the tree. This two toned neutral looks so elegant! Very pretty card Krista! Thank you for giving me lunch today. It was appreciated very much. Give those 2 little rascals a big hug from Aunt Anna! Luv ya!